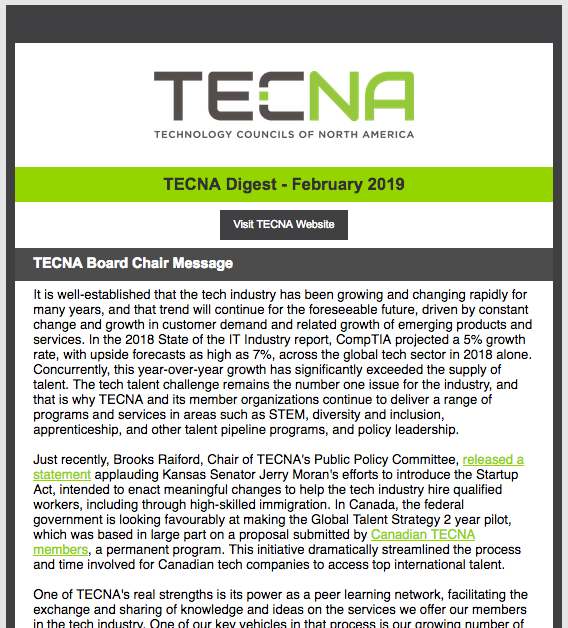 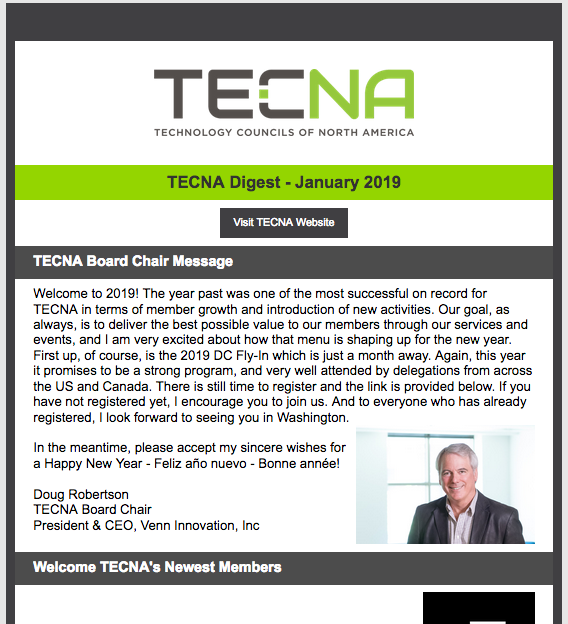 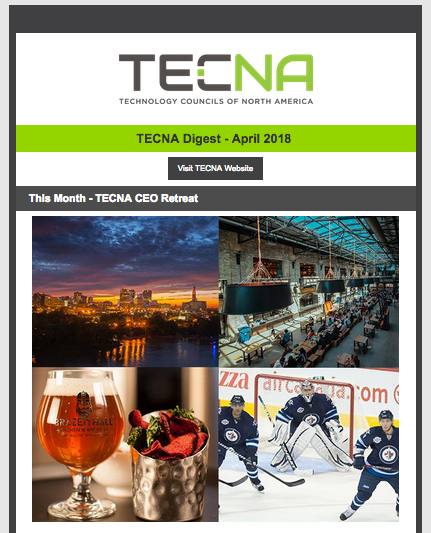 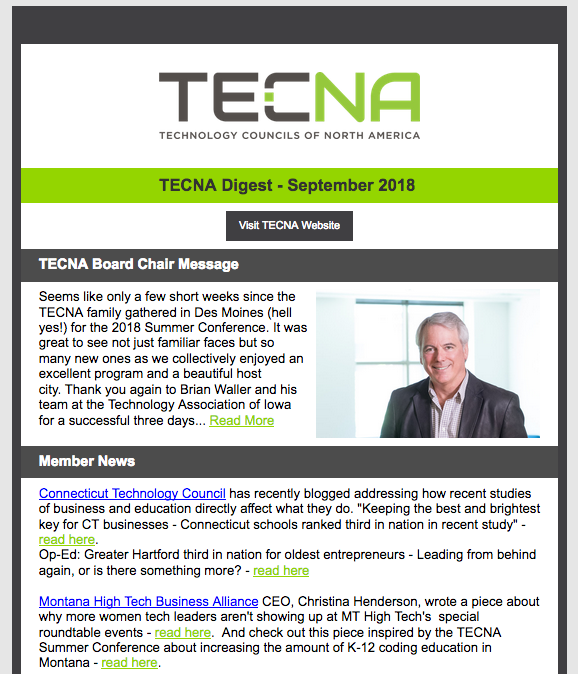 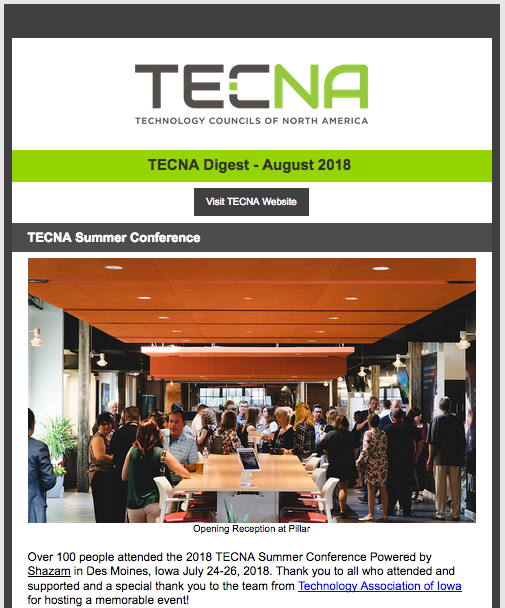 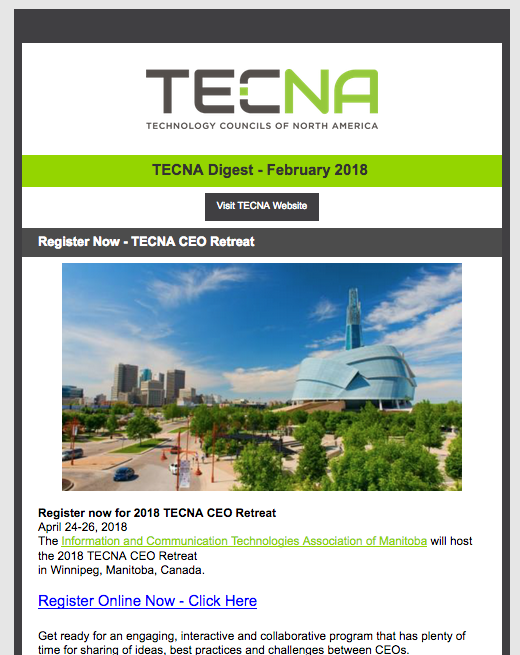 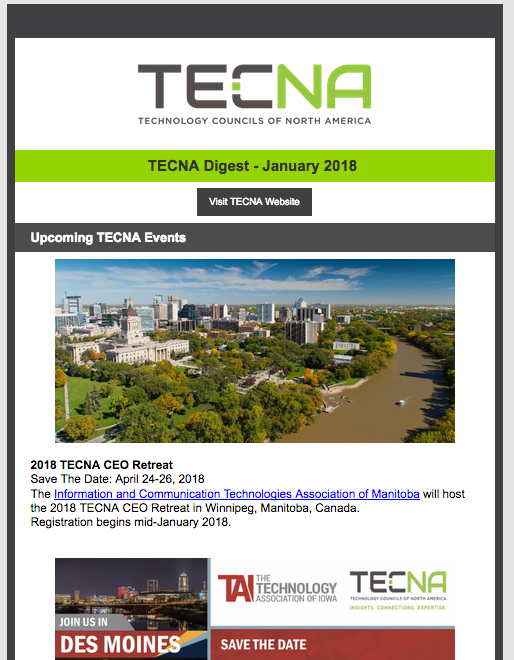 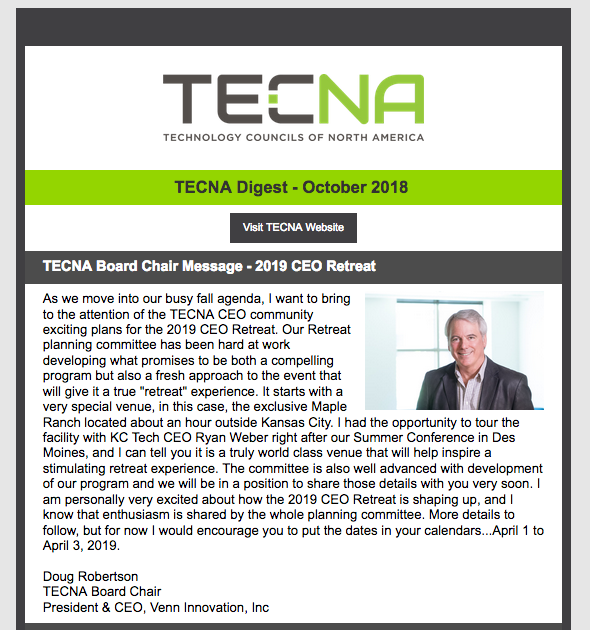 In an effort to help members maximize TECNA membership value, the TECNA Digest highlights the most important updates within the organization each month. 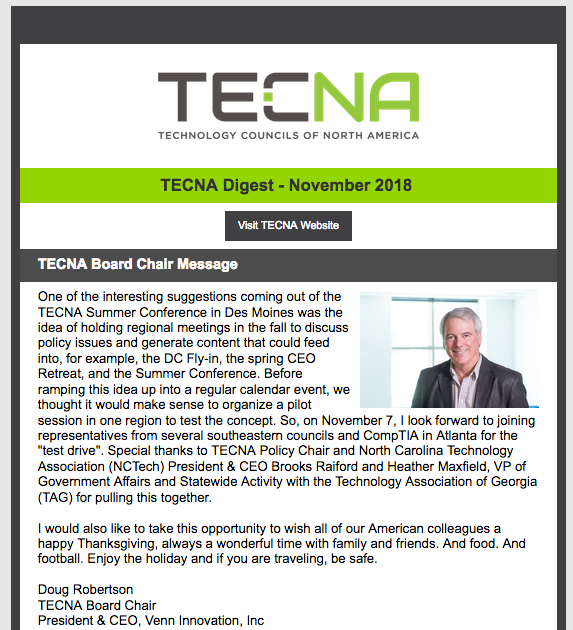 In an abbreviated view, the Digest offers insights into policy, news, association management and member updates as we collectively work to support the technology industry and important initiatives across North America. 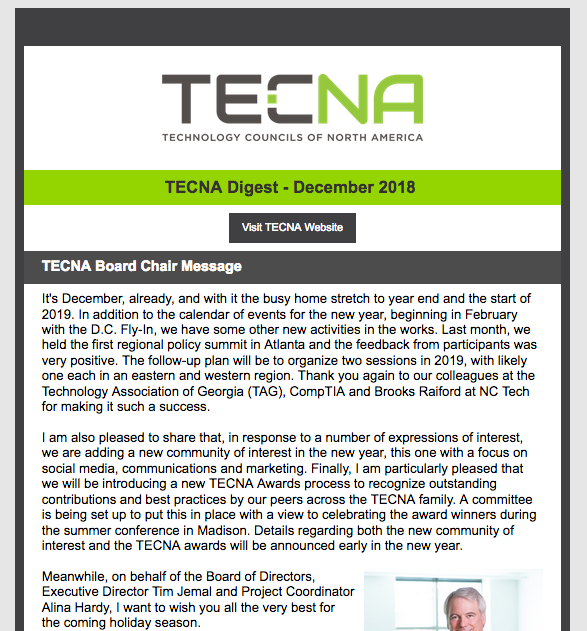 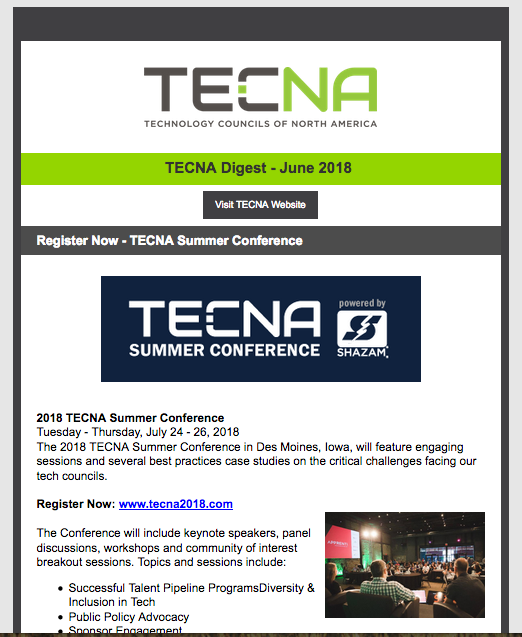 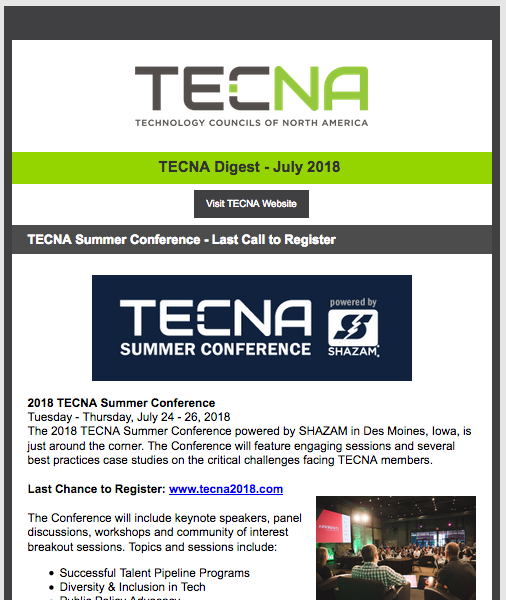 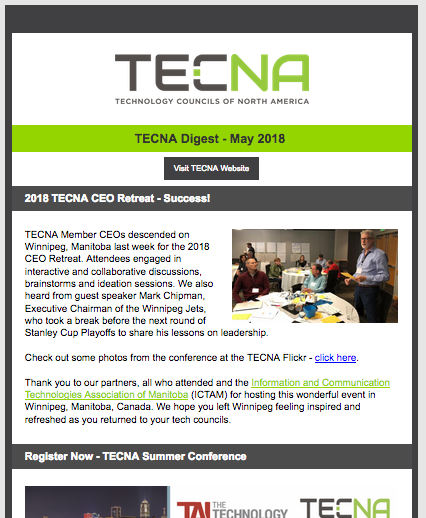 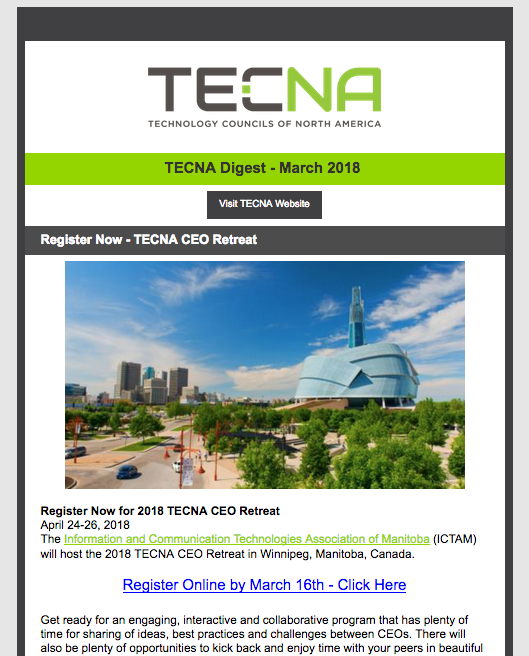 Browse recent editions of the TECNA Digest Newsletter below.